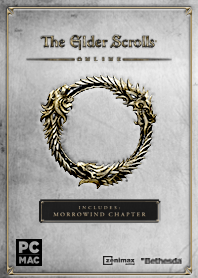 Includes The Elder Scrolls Online base game and the Morrowind® chapter. 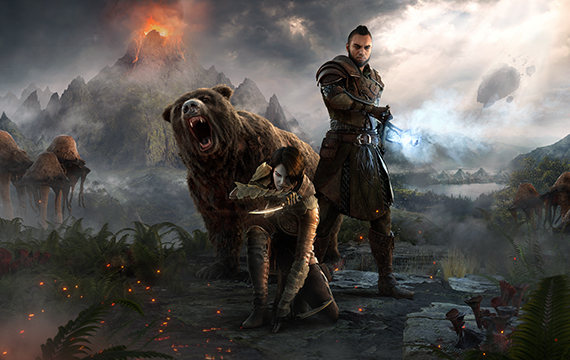 Join over 10 million players in the award-winning online multiplayer RPG and experience an ever-expanding story set across Tamriel. Explore a rich, living world with friends or embark on a solo adventure – the choice is yours to make in a persistent Elder Scrolls world. PLAY THE WAY YOU LIKE – Battle, craft, steal, siege, or explore. Combine different types of weapons, armor, and abilities to create your own style of play. TELL YOUR OWN STORY – Discover the secrets of Tamriel. Experience any story in any part of the world, in whichever order you choose – with others or alone. INCLUDES THE MORROWIND CHAPTER – Journey to the iconic island of Vvardenfell and stop a meteor from crashing into Vivec City by helping a demi-god regain his lost powers.